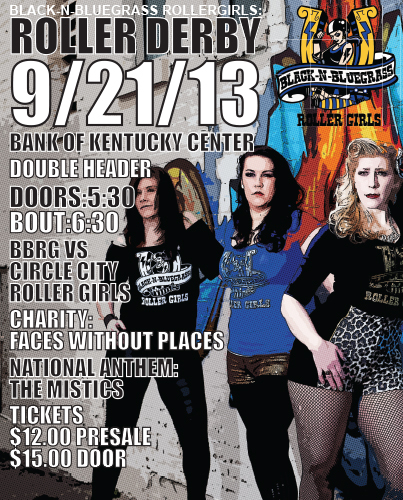 This is the last chance to see your Black-n-Bluegrass Roller Girls skating at The Bank of Kentucky Center in 2013! 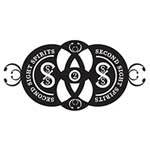 BBRG will host the Circle City Socialites for a double header on September 21st. Be sure to get to the Bank of Kentucky Center early to meet-n-greet with skaters, check out vendors, buy some swag, and much much more! 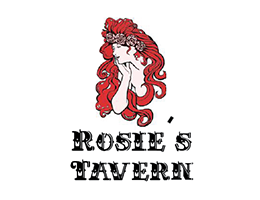 Doors open at 5:30 pm. This is entertainment for the whole family to enjoy! Our featured charity for this game is Faces Without Places; let’s help them remove barriers to education for children and youth experiencing homelessness! There will be awesome halftime activities, too, including a performance by The NKU Dance Team. The National Anthem will be performed by the extremely talented musical group, The Mistics. Tickets are $12 in advance, $15 at the door. Kids 6 and under are always free! You can purchase your presale tickets in advance from your favorite roller girl, online through Ticketmaster, or at the door.